Text message marketing is not only for businesses trying to sell a product. Even churches can use text message marketing to their benefit and enjoy the plethora of useful enjoyment that it brings their way. Churches small and large can use text message marketing, and there is a variety of ways in which to make use out of the mobile marketing method. Nothing is more inspiring that opening your mobile phone messages and finding an uplifting message of praise. Many churches are choosing to offer this to their congregations, and why not? Churches are well-known for planning many fun and exciting activities for their members. Whether mission trips, fundraisers or potlucks, these special church events can be announced via text message where you can be certain the message will be heard loud and clear. When there are things to do around the church it can be hard to be by the phone to handle calls. Luckily churches will find that text message marketing can be used to help. Text messages are easy to send from any location and can help you learn of changes, people who won’t be at work today and more. Church congregations are family. They care about one another in each and every way. 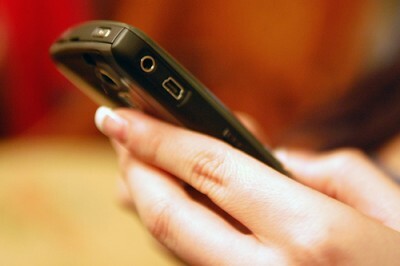 Text messages can be used to help the congregation find out what is going on and with whom. You can send messages about members who have been hospitalized, deaths, births and more. Additionally text messages can be used to notify members of other notifications going on at the church, whether it is a special fundraiser, guest speakers or church closings due to inclement weather. Are you holding a Saturday car wash? How about a bake sale at the supermarket? Send a message to the members of your church to let them know. A part of a successful fundraiser is spreading the word about the event, so use mobile messages to do it. Why use Text Message Marketing? Now as an added bonus, how about 5 reasons why your church should use text message marketing? Here they are, in no particular order. text message marketing has proven success rates, with even better results than email. Oftentimes older members of the church do not own email accounts, this eliminating them from any type of update. On top of that people lead busy lives and it may be days before they check their email. With a text message it is delivered in seconds and in most cases read within 3 minutes. Text message marketing is affordable. In fact it is among the most affordable types of marketing available to a church. You can choose how many messages that you want, and in most cases there are no start-up or set-up fees. It is quick and easy to prepare and send a message to the entire congregation or only a select few. You are in control of who receives the messages, and when, and can expect it to be quick and easy no matter how many recipients the message is headed to. You can send late notices to the church with mobile message marketing. Have a last minute prayer request? A last minute event? Let them know with a message. The facts speak for themselves and so do people with an opinion. It is the method of contact that respondents of a recent SMS marketing study preferred. Why not reach people the way they want to be reached? Now the real question is why would you not want to use mobile message marketing at your church?